Here in Michigan, the nearly 2,500-mile highway US-12 is known simply as Michigan Avenue. Since its initial construction in 1827, Michigan Avenue has arguably been the state's most important thoroughfare. It was the first official connector to Chicago. Cities and towns have been founded along its path. Today, businesses line both sides of the road in Detroit, Dearborn, Ypsilanti, and more. And exciting changes are in the works to modernize this centuries-old road. To better understand the road's importance, Model D will explore the past, present, and future of Michigan Avenue in a three-part series presented in conjunction with Metromode and Concentrate, our sister publications in the metro Detroit area and Ann Arbor. "The country ... was almost a trackless wilderness, very few wagons having ever passed over it. The Indian trail therefore had to be our guide, as it was very difficult to keep the road track." These words, written by Major Abraham Edwards, describe what it was like to travel along the not-yet-complete Chicago Road in 1828. Edwards, who journeyed with his wife and ten children, was one of thousands of pioneers who used the Chicago Road, also known as Michigan Avenue, to buy, settle, and explore lands west of Detroit. For decades, it was the main route to what would become the largest city in the Midwest. 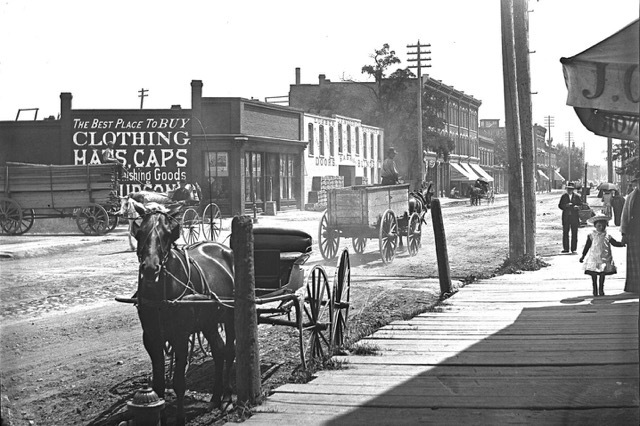 And because of all this traffic, numerous businesses and cities—such as Wayne, Ypsilanti, and Saline—sprouted up along its path. In other words, Michigan would not be what it is without Michigan Avenue. Michigan Avenue begins, both literally and historically, in Detroit. Augustus Woodward, the first Chief Justice of the Michigan Territory and self-taught urban planner, drew up the city's first master plan to rebuild the fire-ravaged city. The main features of this plan still exist today, in particular the radial roads issuing from Campus Martius, the center of downtown. 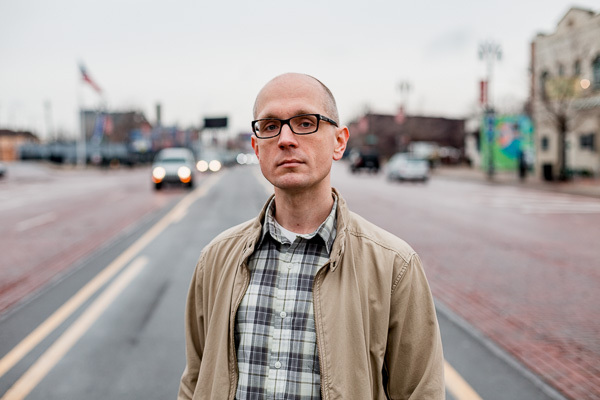 "Michigan Avenue was originally built as a military highway," says historian Paul Szewczyk, who runs Detroit Urbanism, a blog on the history of Detroit's roads (read his post on Michigan Avenue here). "But ironically, the only military action that ever happened was during the Black Hawk War when militia marched to Iowa." Father Gabriel Richard, the Michigan Territory's first delegate to the U.S. House of Representatives, almost single-handedly convinced Congress to appropriate money for the construction of the Chicago Road. In an 1825 speech, he argued that the road's cost would be minimal compared to its benefit. But more than Woodward, Richard, or the eventual surveyors, Native Americans were most responsible for the shape and direction of Michigan Avenue. The road largely follows The Great Sauk Trail, which enabled Native Americans to receive yearly gifts from the British as part of a treaty and attack Detroit during the War of 1812. "This route was in use centuries before the discovery of America," writes Philip P. Mason in "Michigan Highways from Indian Trails to Expressways." "It is believed to have been carved out of the wilderness by great herds of buffalo and other animals which roamed the Lower Peninsula." After a survey that lasted eight weeks and traversed 263 miles, Congress agreed to fund full construction of the road. It was mostly completed in 1833 at a cost of $87,000. Despite not really being used for military operations, it spurred a land-buying boom. Pioneers, who had been coming to Detroit from eastern states since the completion of the Erie Canal, arrived in even greater numbers. Chicago at the time had a population of around 200 and land was lightly settled in the state. Farmers, speculators, and those looking for new prospects could get this land cheaply. And the best places to buy land were near the newly finished road. Opportunistic businessmen have taken advantage of the road's importance from its earliest days. Travelers needed lodging, food, and supplies for their journey, and taverns provided these services. "To us, tavern implies a bar," says Szewczyk. "But back then it was more like a very rustic hotel and convenience store." Along the north side of Michigan Avenue past the Southfield Freeway stands an historical marker for the popular Ten Eyck Tavern, established in 1826. Being in Dearborn nine miles away, it would have been about a day's journey at that time. You might have found women and children sleeping inside, men in the barn above the animals. But just several years after its completion, Michigan Avenue was already in a state of disrepair. The federal government allocated no further funds for the road, and the fledgling state couldn't provide much either. Instead, the state contracted private turnpike companies to maintain the roads and charge a toll fee. According to the website Michigan Highways, "It marked the only time that public roads in Michigan were not a direct government responsibility." Many of these companies built wooden plank roads atop the dirt, which were popular at first, but the fad didn't last long. "The plank roads just rotted right away," says Szewczyk. "But there simply wasn't the political will to maintain the road until the late 1800s." The situation couldn't persist and the state eventually found enough funds to end privatization of its roads. Major changes then came with the standardization of the United States Numbered Highway System in 1926. Where the road split at Ypsilanti, the northerly route that went through Ann Arbor and Battle Creek became US-12, while the southerly one that went through Saline and Sturgis became US-112. From the website Michigan Highways: "The northern route … fostered the growth of many of the cities. So much so that the route was chosen for the proposed Detroit-Chicago Expressway in the early 1950s. In a time before the Interstate Highway System, a toll-free superhighway of this length (210 miles in Michigan alone) was unheard of." This highway was then incorporated into I-94 when the freeway came through Michigan in 1961, and the southern route then became US-12. To confuse matters even more, according to LeRoy Barnett in "A Drive Down Memory Lane," the city of Jackson "proposed, through its newspaper in 1922 that all towns on the main route between Detroit and Chicago collectively change the name of the principal east-west thoroughfares [to Michigan Avenue] to create the longest street in the country." But of course, Jackson is situated along I-94, not what is today referred to as Michigan Avenue. 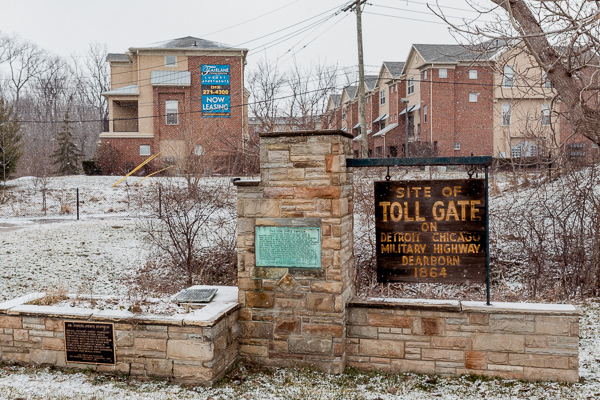 Naming issues aside, Michigan Avenue has been recognized for its significance as a Historic Heritage Route. Given the fact that it's persisted so long and been so essential to the state, it seems more than fitting to refer to this road, which spans the entire east-west length of the state, as Michigan Avenue. Michigan Avenue has always been an essential connector between cities and "has never fallen into disuse," according to Szewczyk. It's also been the site of remarkable events. Old Tiger Stadium, formerly where the Detroit Tigers played and now the site of an under-construction development by the Detroit Police Athletic League, was situated at Michigan Avenue. After the Tigers won the World Series in 1984, the team held a parade that traveled down its home street. It is said that Henry Ford walked down Michigan Avenue in 1879 to apply for his first job downtown—which he was fired from six days later. Today, Mike Kelley's "Mobile Homestead," a full-scale replica of the multimedia artist's childhood home, is located on the grounds of the Museum of Contemporary Art Detroit. But it hasn't always been there. The work of art has traveled up and down Michigan Avenue to visit Westland, the city where Kelley grew up. Undoubtedly many more important events await Michigan Avenue. Check back in two weeks when we'll publish a piece on the present state of Michigan Avenue. All non-historical photos by Nick Hagen.